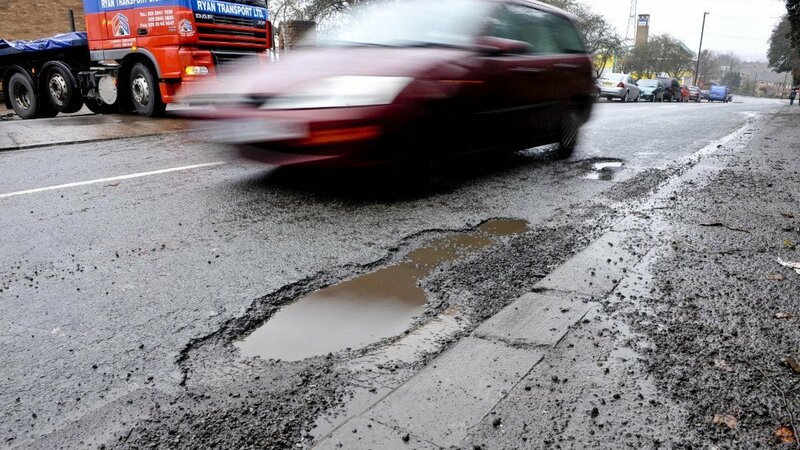 Potholes are everywhere these days and did you know and 1 in 10 mechanical failures in the UK are caused by potholes! Here are our pothole safety tips to prevent you from falling foul of them. Make sure your tyres Ellesmere Port are in good condition and at the correct pressure. Properly inflated tyres protect better against impacts and can minimise damage if you do hit a pothole. A few habits are helpful for avoiding pothole damage. If you cannot drive around them, at least slow down if you see a pothole. The slower you’re going, the less impact on your car’s tyres and suspension. Avoid roads that are in poor condition – even if the journey takes longer, it could save you from costly repairs. When you go over a pothole, keep a firm grip on the steering wheel, so you stay in control of the car. The pothole can make your vehicle change direction suddenly. Straighten your wheels to hit it head-on, rather than making contact at an angle which can cause more damage. Don’t brake directly over the hole or swerve at the last minute- try to continue at the same speed over it. The most obvious signs of damage and punctures, bulges in the tyre or dents in the wheel. Other indicators include fluid leaks or an unusual noise from the exhaust. Your car may start to pull to one side. If it feels as though the car is bouncing, something might is wrong with its suspension. If you notice these issues, take your car to a professional to get it checked as soon as you can. Your tyres might need to be replaced, or your wheels rebalancing or realigning. The sooner that these problems are dealt with, the less chance of more serious and expensive problems developing. You can trust Car Clinic MOT Centre for maintenance service, MOT Ellesmere Port and car repairs Ellesmere Port. Car Clinic MOT Centre serves drivers in Ellesmere Port, Wrexham, Flint, Warrington, Birkenhead and many other areas. Call us on 0151 3390101.